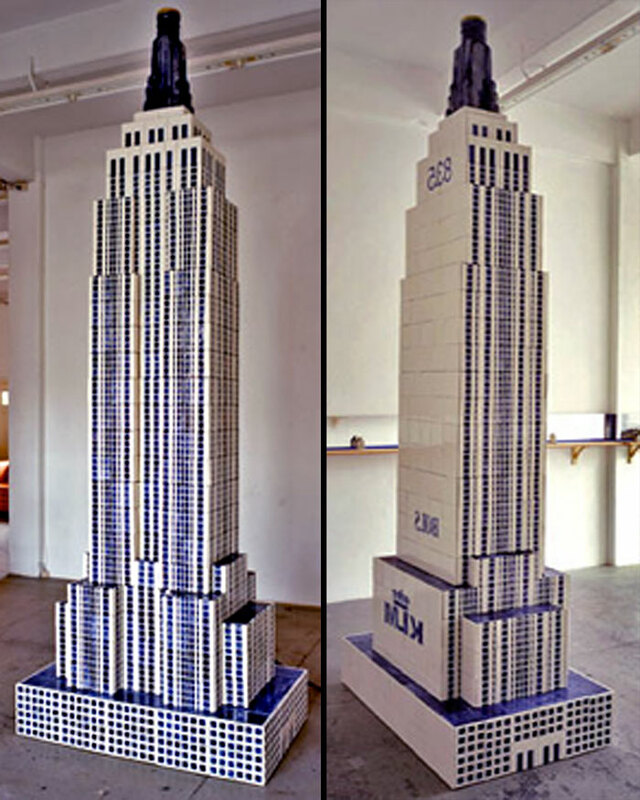 Well known for their miniatures modeled after Old Dutch Houses, KLM has allowed an artist to make enormous porcelain Empire State Building. 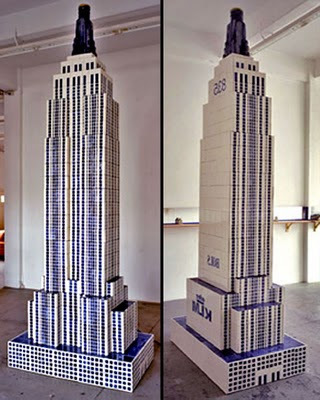 The iconic NYC building replica has a delft blue glaze, sits on a wooden base and stands 1.2 meters tall. The work, entitled House 83.5, was created utilizing hundreds of relief tiles which Jill Magid made at De Porseleyne Fles in Delft. The scale of Magid's tower is 1:100 proportion to the original skyscraper. In a desire to make a work of Dutch Royalty, Jill Magid asked KLM to grant her permission to name her porcelain Empire State Building House #83.5 and to introduce the House to passengers in their in-flight magazine, The Flying Dutchman. They agreed and she also convinced them to pay for it. I’ve written in the past about the KLM house miniatures which are filled with the Bols Royal Jenever alcohol and given away to First Class passengers on KLM airplanes. The KLM miniature houses are numbered 1 – 83 and are collected by both airline passengers and souvenir building fans.